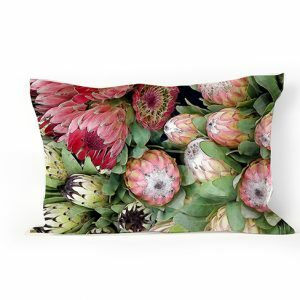 100% cotton, 33 x 48 cm , digitally printed image of a beautiful mix of Proteas. 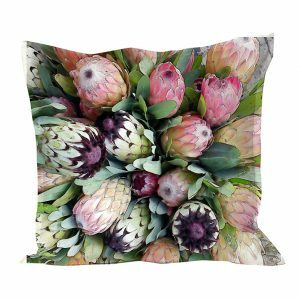 100% cotton, 50 x 50 cm , digitally printed image of a beautiful bunch of mixed proteas commonly seen outside shops in the Cape. 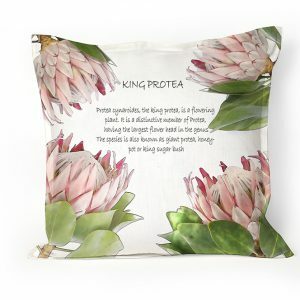 100% cotton, 50 x 50 cm , digitally printed image of King Proteas in watercolor with a brief description. 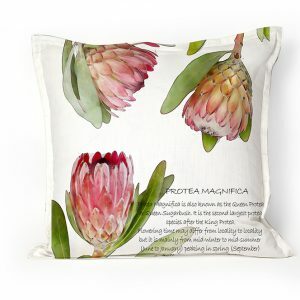 100% cotton, 50 x 50 cm , digitally printed image of Queen Proteas in watercolor with a brief description. 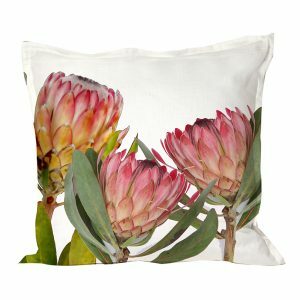 100% cotton, 50 x 50 cm , image depicting 3 beautiful proteas.